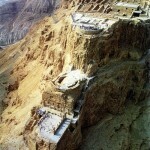 During his tenure as President of the United States, President Clinton visited Masada National Park and became fascinated by the ongoing restoration efforts there – one of the most prominent sites of Israel’s National Archeological Parks. Preserving the historical significance has become a conservation challenge for this restoration project. In order to preserve the site’s integrity and natural materials, only St. Astier Natural Hydraulic Limes have been deemed the most appropriate and ideal products for this ongoing job. Saint Astier® NHLs are historically correct since they are the same original, natural materials as those used centuries ago when Masada came into being. Today over 800,000 visitors a year are inspired by this expansive witness to Israel’s heritage as they discover the deep historical roots of Masada’s ancient past. The National Archaeological Parks of Israel include great and important epics of history and sites from the beginning of humanity through biblical and classical times. The use of St. Astier limes has given us the chance to work with these sacred structures providing compatible mortars that will preserve their historical testimony for future generations.